Love trumps everything else. If there is one thing that this story teaches, it is exactly that. A lot of times, we are faced with certain scenarios where we see people in distress, regardless of whether it is in a private place or somewhere public. We might not be particularly dong anything that hurts anyone, so we feel like we’re at least just minding our business. However, what do you do in the event that you actually have the wherewithal to do something about it? A lot of the time, we get to see people who struggle with certain aspects of life that we tend to see as a breeze. In such cases, the important thing to do is truly to try to make their lives easier. At the end of the day, love is something that we all get taught, and we owe it to one another to ensure that we are able to show this love to as many people who are around us are humanly possible. Take these shopping mall employees for example. We are all aware of the fact that grocery shopping with kids isn’t exactly the easiest task in the world (I mean, a lot of things are much more difficult when done with kids, but grocery shopping is definitely atop that list). However, for Melody Leach, this task was something almost downright impossible. Still, this task wasn’t impossible because the 2-year-old she had with her chose to be a terror that won’t just behave. Rather, what this entire difficulty came down to was the carts in the stores. Although most little children are able to sit in the front seat of the cart ad enjoy being moved out, Melody’s daughter simply could not do this. 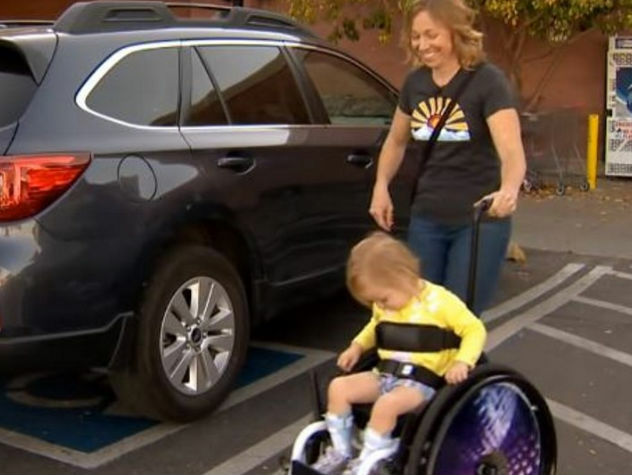 Melody’s daughter, Beatrice, was born with a diagnosis of cerebral palsy. At that point, she was almost three years of age already. Still, she had issues with speaking, she couldn’t even crawl, and her eyesight was terrible. 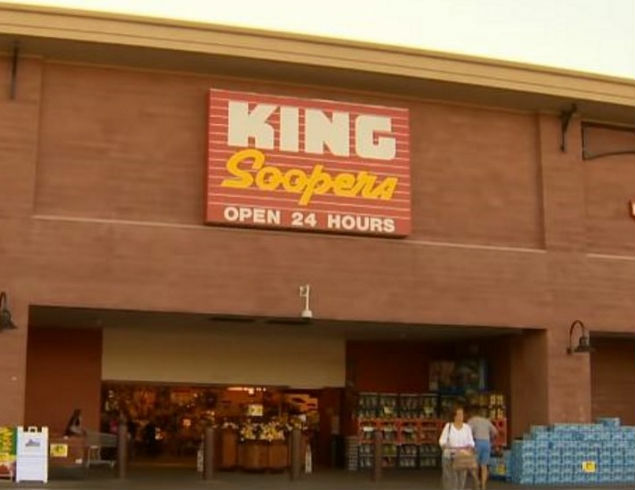 Melody would make often attempts to take her to the King Scoopers in Loveland, Colorado, but she found that she wasn’t able to use the baby section in the art. Essentially, this means that Melody will have to propel Beatrice’s wheelchair all around the store, while also carrying a basket. By any stretch of the word, this right here is not an easy task to undergo. Still, though, the mother had not the slightest clue that the employees at the shopping mall had taken notice of her. They had seen how difficult this trip was, and the decision to lend a helping hand. The store’s manager, Mike, put a call through to the higher-ups in order to see if they could get their hands on a cart that was designed for people who have special needs. However, all of that was still the tip in the iceberg. Apart from the fact that they were able to get a “Caroline’s Cat” just for Beatrice, the employees decided to go even over the top with their act of random kindness. A KUSA news story was released about the surprise, and it just serves as a good reminder of the fact that there are truly still good people left on the face of the Earth. These people deserved to be commended for the level of kindness that they showed.